We love our dogs and our neighborhood, and we want to preserve our community's green space. 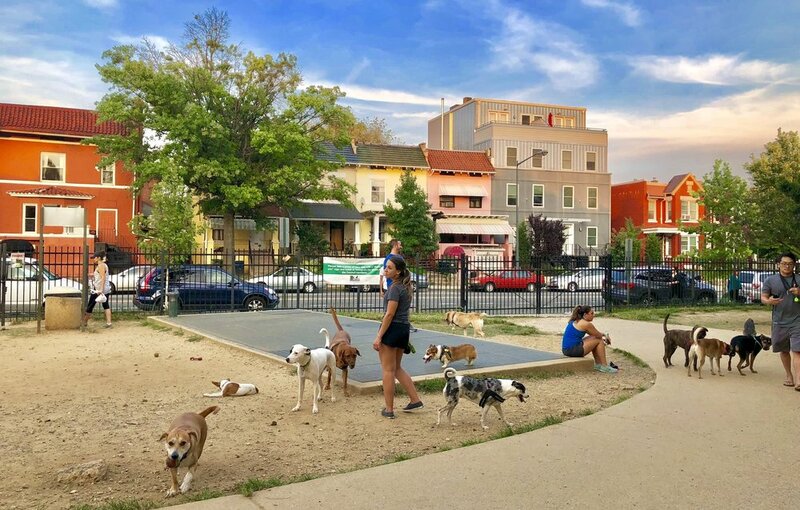 11th & Bark is 501(c)(3) nonprofit organization dedicated to making the Columbia Heights Dog Park an official city off-leash dog park. We would like the District of Columbia to purchase the land, or create a lease agreement with Washington Metropolitan Area Transit Authority (WMATA), so that we can improve the park. 11th & Bark formed in 2015. Donate to help us achieve our mission. We are a partner of Green Spaces for DC, which is a nonprofit organization that advances park and green space improvements.